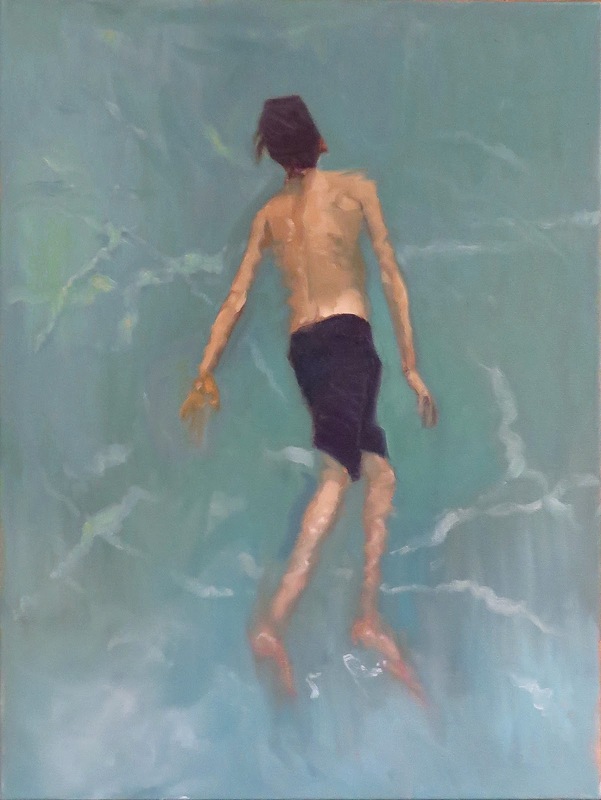 Swimmer 1, 2015. Oil on canvas, 18x24. 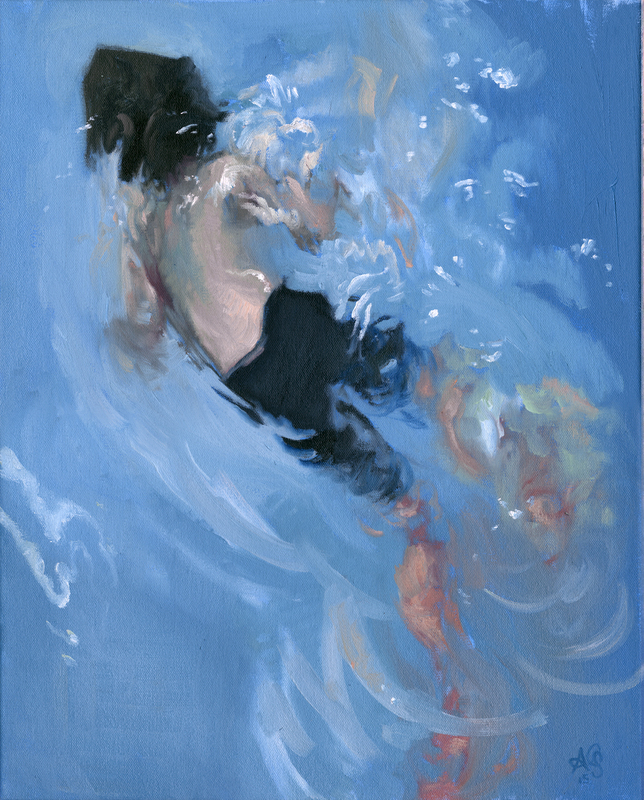 Swimmer 3 (granulation) 2015. Oil and wax on drafting film, 14x17. 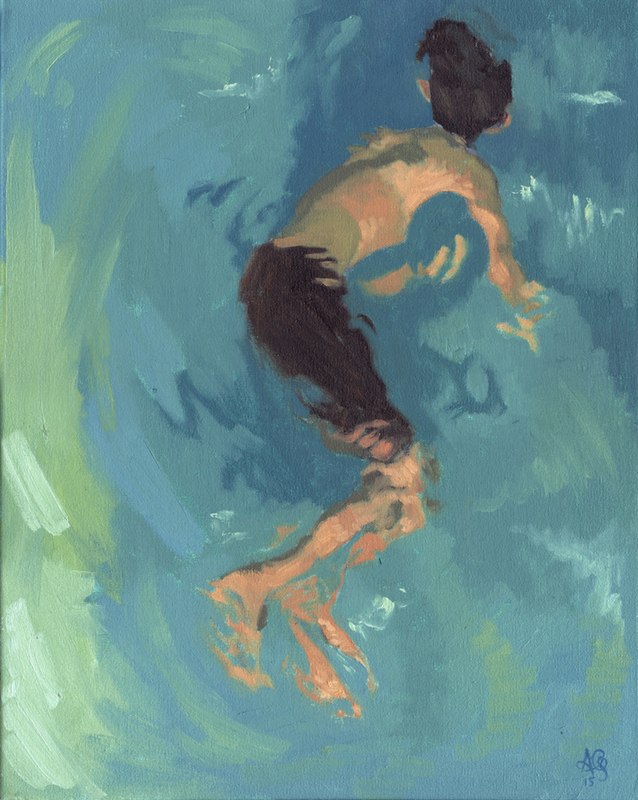 Swimmer 4 (teal), 2015. Oil on canvas, 16x20. 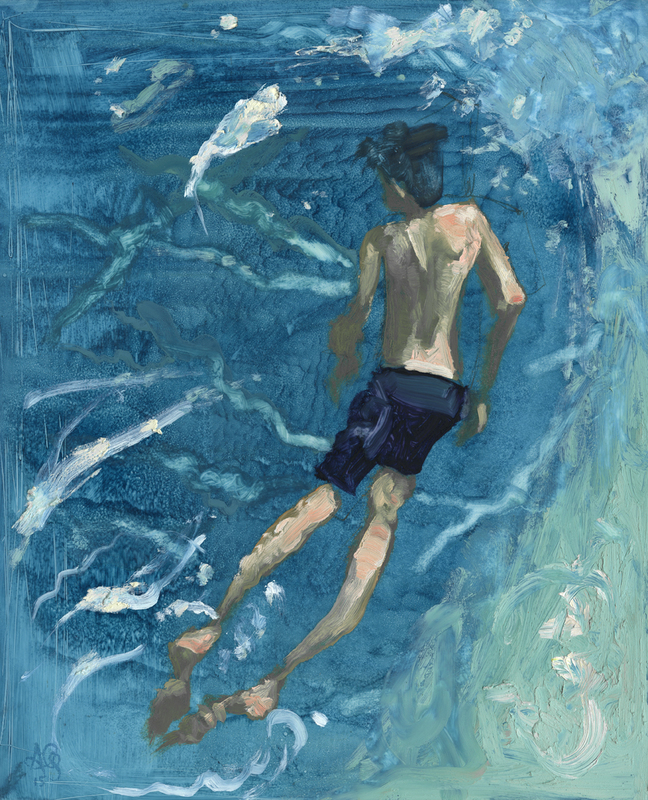 Swimmer 5 (blue), 2015. Oil on canvas, 16x20. 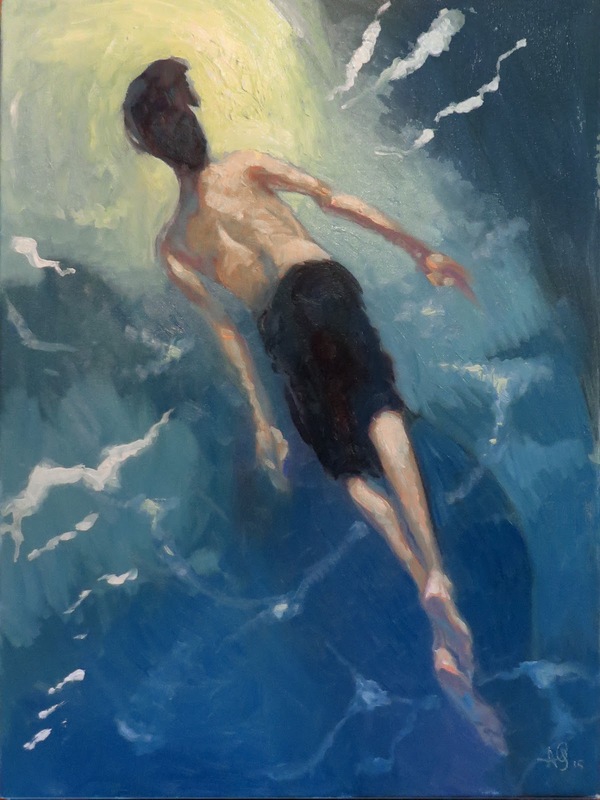 Swimmer 6 (night), 2015. Oil and wax on canvas, 18x24.